Being a Southern (US) girl, I grew up on Southern Comfort. Well, of course, I didn't drink it until I was of legal age (Drink Responsibly) but it's a very familiar bottle in the bar line up of any proper Southern bar or drinks cabinet. Southern Comfort was created in a New Orleans bar in 1874 by bartender M.W. Heron. It's the perfect blend of neutral spirits with fruits, spices and whiskey flavoring. This year Southern Comfort launched their first ever Travel Retail Exclusive, Blood Orange Comfort. 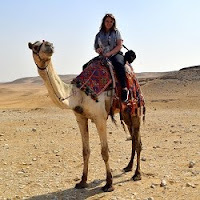 Hey, I travel. I enjoy Retail and Exclusives! They offered me a bottle to try out and as they say in the South, "Momma didn't raise no fool." Yes, please. The package arrived while I was away in Texas for the month of August. I let Matt open the box and then I made him promise that he wouldn't touch that bottle until I returned to London. He actually complied. Reluctantly. Finally, I was settled back home and it was time to open our bottle of blood orange liqueur . They sent us some great recipe suggestions with the bottle (see below). But we decided to just try it a few different ways with some items we had on hand. First we needed to taste it straight up to see what we were working with, so that's where we started, Blood Orange Comfort over ice. It's described as "the unique blend of Southern Comfort flavours with a hint of blood orange citrus." We noticed two things. It's very smooth, I didn't do that alcohol shudder thing that I usually do when I drink alcohol straight up. I could easily and happily drink this over ice. Second, it has a very natural orange flavor and it's pleasantly sweet. That sweetness meant that we didn't want to mix it with anything else that was too sweet. So soda water seemed the perfect mixer and it was. It was very light and refreshing, like a spritzer rather than a cocktail. Both of the recipes they sent included soda water, so I think we were on the right track. Lastly, we tried it with cranberry juice and just a splash of the soda water. This was our favorite. Orange and cranberry are perfect together. We were in a bar a few weeks ago and Matt ordered me a shot that was orange and chocolate together. It was amazing! I'm thinking that this Blood Orange Comfort would be perfect in a chocolate & orange shot. Now I just need to figure out the perfect recipe. Any suggestions?? Here are the other two more ways to enjoy Blood Orange Comfort. Muddle the peach wedges and cherry in the bottom of a shaker. Add Blood Orange Comfort, shake to mix, transfer to serving glass and top with soda. Rub mint leaves inside a shaker and drop in the bottom of the shaker. Add ice, and balance of ingredients. Roll to mix and transfer to a serving glass. 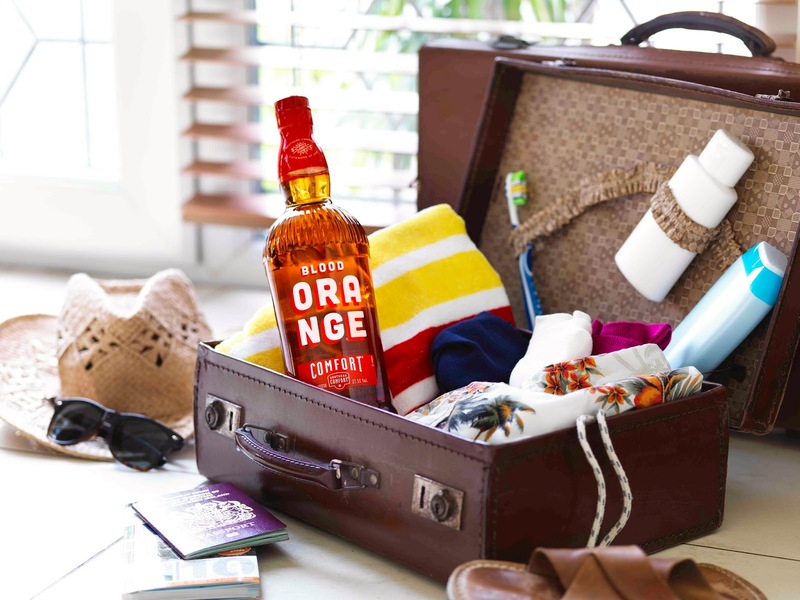 You can find Blood Orange Comfort at duty free outlets around the world, so next time you're in the airport "Grab an Orange by the Bottle." Do you have any other suggestions on how to drink Blood Orange Comfort? (and a lawn chair) for the purposes of review.